Straddling several creative fields simultaneously is not a simple task – but when executed successfully, the results can be spellbinding. Introducing New York Sunshine, an art collective which has found a seamless way to combine fashion, art, architecture and retail, to create multi-sensory, multi-faceted experiences for all those who visit them. The brand was founded by John Margaritis, who started out making T-shirts in high-school – and the rest, as they say, is New York history. 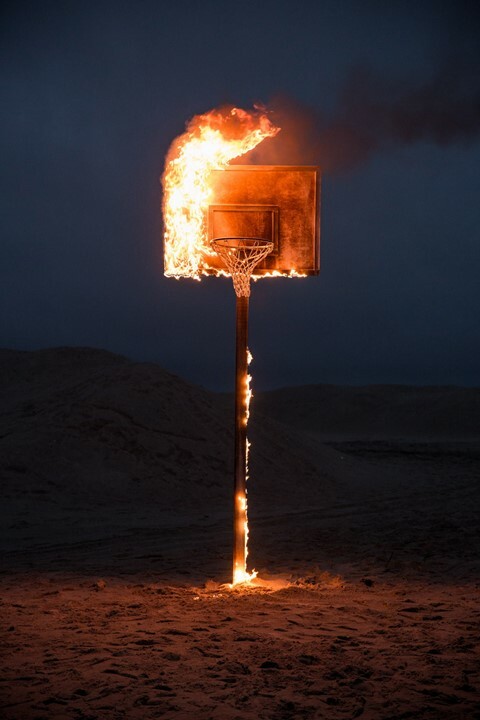 More recently: the collective art directed Virgil Abloh’s Off-White X Vlone campaign, creating a basketball hoop which floated in the ocean, based on their Hoop Dreams photography series. 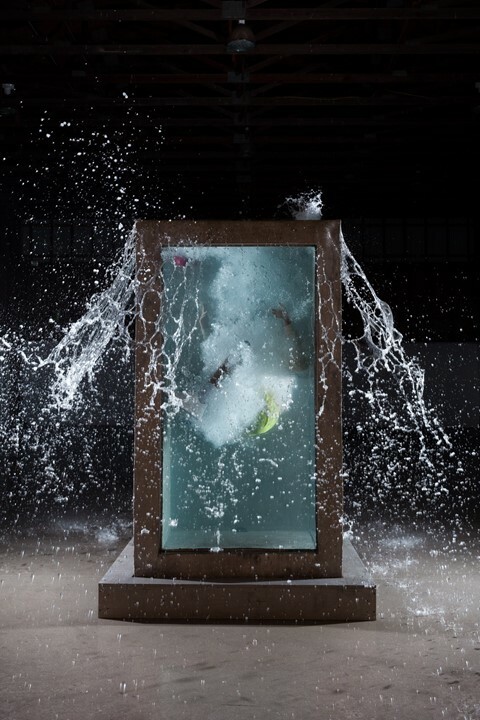 The team has also produced some ambitious projects, such as One Ton Tank, for which it filled a giant 7,000 pound cement tank with water, before staging a performance which saw a full clothed artist submerged within it. What’s so fascinating about Margaritis and his team, though, is that they refuse to be governed by definitions. Their work centres around ideas, rather than a prescribed form or design – which makes for unexpected and authentic manifestations. 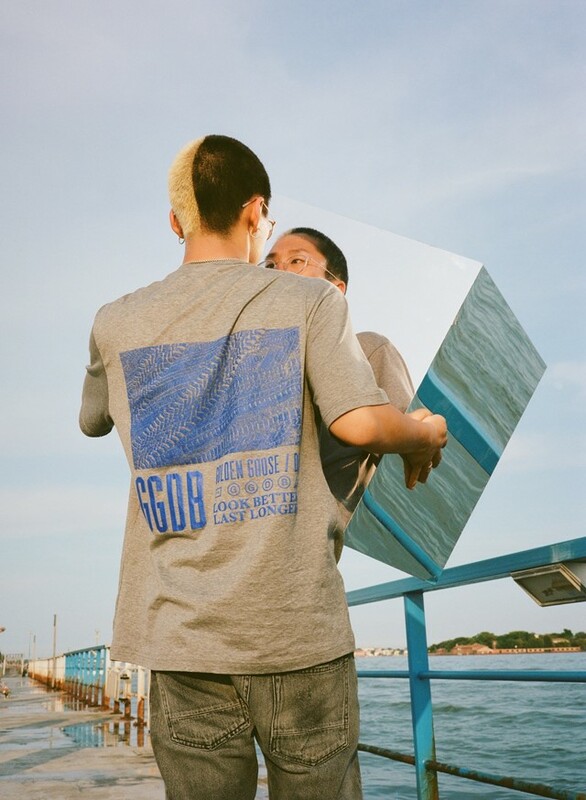 Recently, they collaborated with the Venetian entity Golden Goose Deluxe Brand during 2018’s Venice Biennale of Architecture, creating a series of performances to celebrate the launch of its STARDAN sneakers, which pay homage to American basketball and craftsmanship. Here, we speak with Margaritis and his team about the brand, which live happily between the gritty New York streets and Long Island’s surfing scene.